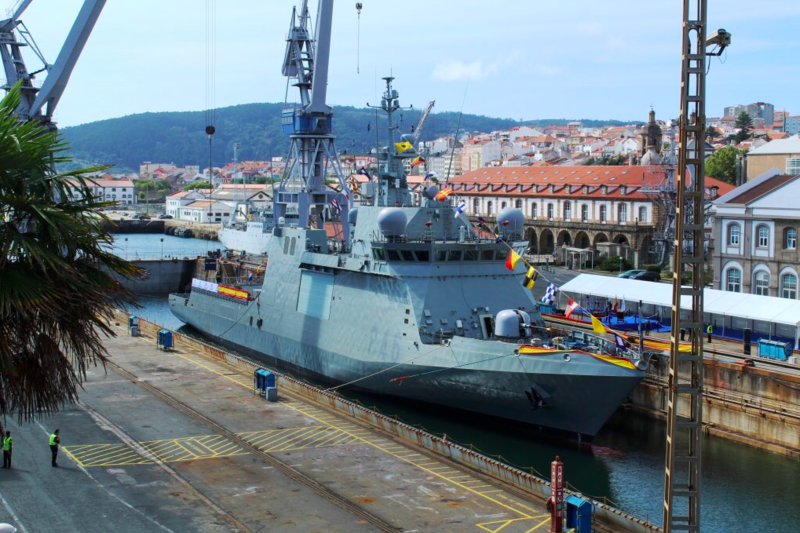 The Spanish Minister of Defense, Margarita Robles, accompanied by the Chief of Staff of the Spanish Navy, Admiral Teodoro López Calderón, presided over in Ferrol the commissioning of the new OPV ‘Furor’, the service announced yesterday. Upon acceptance by the Spanish Navy and as part of the ceremony, the commanding officer Ltd-Cdr. Angel Morales took up his duties hoisting the national flag with all the crew onboard. The different military and civilian authorities then embarked and were toured around the new vessel. 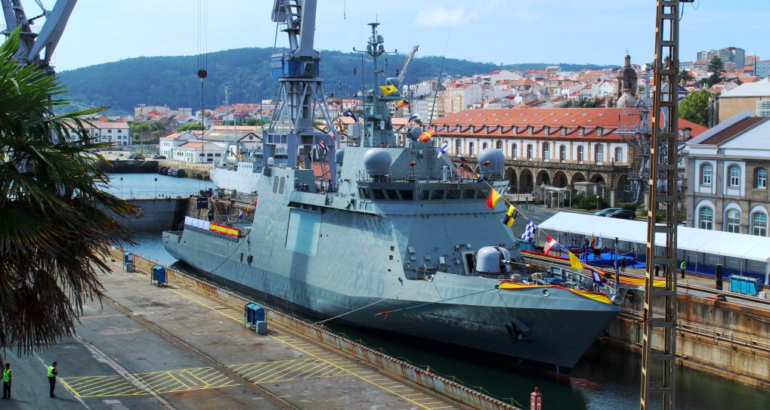 The ‘Furor’ (P-46) is the sixth ‘Meteoro’-class offshore patrol vessel built by Navantia and will be homeported in Cartagena (SE Spain). These multi-purpose patrol boats participate in many missions like surveillance, combating terrorism and pirate activities, drug interdiction and prevention of human trafficking. The ships also contribute to maritime search and rescue and humanitarian-aid operations, as well as fisheries and pollution control. Their performance has been most outstanding in several national and international scenarios and missions like Operation ‘Atalanta’ in the Indian Ocean or contributing to the training of allied or friendly navies in the Gulf of Guinea participating in APS (Africa Partnership Station). The ‘Furor’ has modern and indigenous command and control, communications and combat systems, and habitability elements larger than recommended by NATO’s standards. In addition, the ship is equipped with medical facilities like a small hospital, telemedicine and advanced life support systems. The P-46 is 93.9 meters long, 14.2 meters wide, displaces 2,840 tons and can reach 20.5 knots. She accommodates a crew of 48 and has a flight deck where AB 212 and SH-60B helicopters and unmanned air vehicles can operate. The ‘Furor’ has a 76 mm. fore ‘Oto Melara’ gun, two smaller 25 mm. M242 ‘Bushmaster’ guns and two 12 mm. ‘Browning M2’ heavy machine guns.